Manufacturer of a wide range of products which include tea bag pouch packing machine for packaging industry. Keeping track of current market development, we are offering a wide assortment of Tea Bag Pouch Packing Machine for Packaging Industry. Helped by our experienced professionals, we manufacture this machine as per the set universal standards. Our offered machine is thoroughly checked by our quality inspectors ensuring its flawlessness and high efficiency. The offered machine has gained appreciation from every nook and corner of the world, owing to its consistent performance and low operational cost. 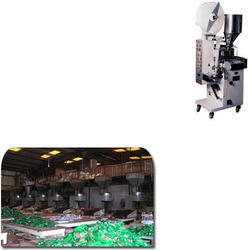 Looking for Tea Bag Pouch Packing Machine for Packaging Industry ?